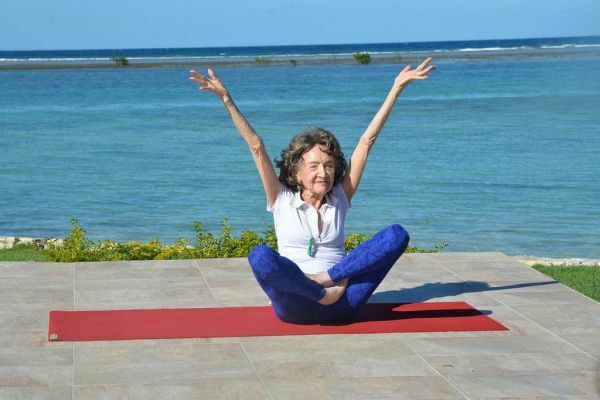 How To Live A Happy Life, According To The Oldest Yoga Teacher In The World! Yoga is a way of life. It's a life-altering experience, for your body, mind and soul. And while we're no strangers to the fact that the origins and practice of yoga dates back to the era of the Indus-Sarasvati civilization, in Northern India, over 5,000 years ago. We aren't too well-acquainted with the core value that defines the mindset of every yoga practitioner. That's where Tao Porchon-Lynch comes in. Wondering just who Tao Porchon-Lynch is? 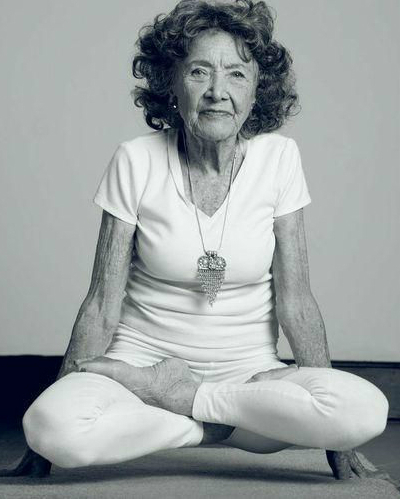 She's just the world's oldest yoga teacher. 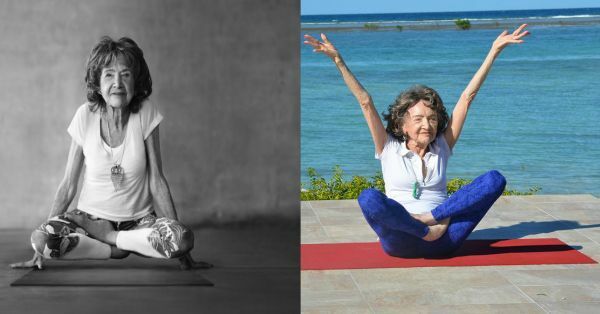 98-year-old Tao can give any modern day yogini a run for her money. 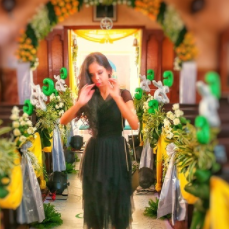 She has an incredible mojo that stems from the way she practices the art of living through yoga, and she embodies the very values of this form of exercise. So, while we continue to go through life - dazed, confused and ridden with existential crisis - Tao has deciphered the mantra to life. And it's simpler than you'd think! "Anything is possible; nothing's impossible. When you wake up every morning, say, 'this is going to be the best day of my life,' and it will be," says Tao in an interview to an international digital publication. That never deterred Tao from her true calling. And today, she's the oldest yoga teacher in the world with wisdom that is well beyond anyone else. In 2012, Tao was entered into the Guiness Book Of World Records for being the oldest living yoga teacher in the world. Ever since she featured on America's Got Talent and wrote bestselling books on the practice of yoga. In 2015, ABC World News called Tao a "Real-Life Forrest Gump" and in her autobiography, Tao describes her personal encounters with world leaders who changed the course of history through the ages. These figures included the likes of Mahatma Gandhi, Ernest Hemingway, Elizabeth Taylor, Marilyn Monroe, Bing Crosby and Coco Chanel, amongst various others. Today, Tao continues to remain a name synonymous wth yoga and is still one of the most sought-after yoginis when it comes to brand collaborations. The secret to her age-defying flexibility - wine! According to a story published in The Independent, Tao never drinks water. And while we can only wish for a situation like that to present itself for us; there is much more to it than just drinking wine. In an interview with The Huffington Post, Tao says, "The overall sense of mental, physical and emotional wellness that comes from just yogic breathing can do wonders." "If you do postures without the breathing you will never change anything. When people are known to breathe properly they can survive and do anything. Nothing is impossible when you are in tune with your breath,” she further adds. We can all take a cue from Tao and learn that life really is just that simple. All we have to do is believe in what we want, then go out, and live the best days of your life.